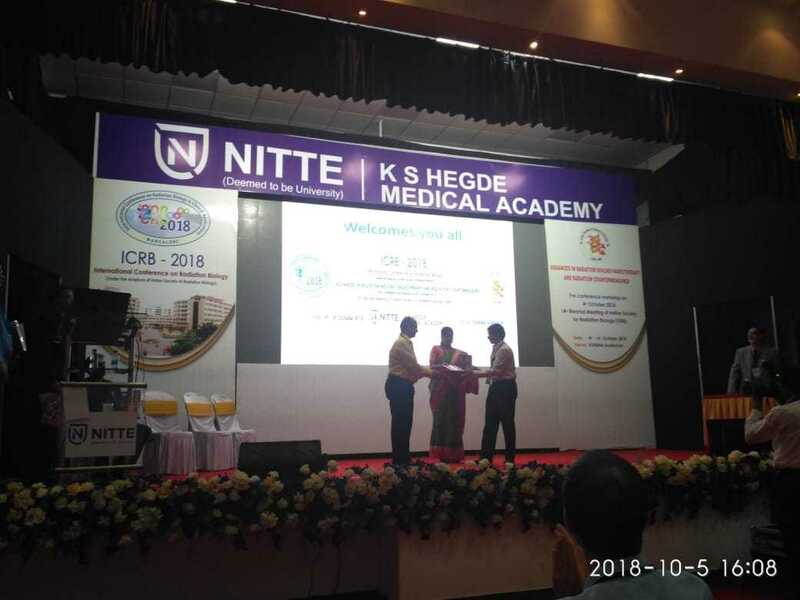 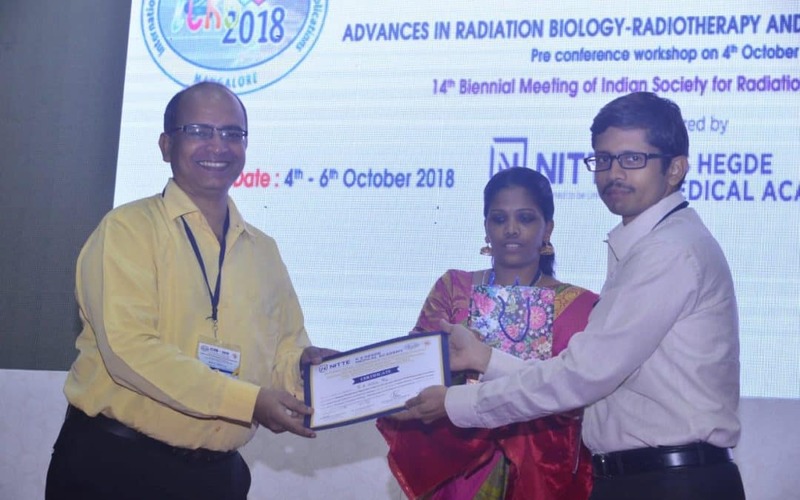 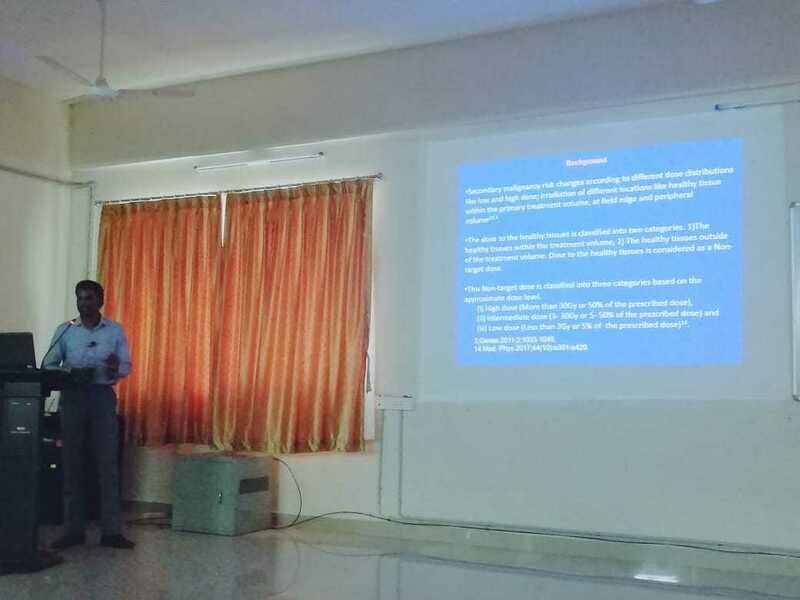 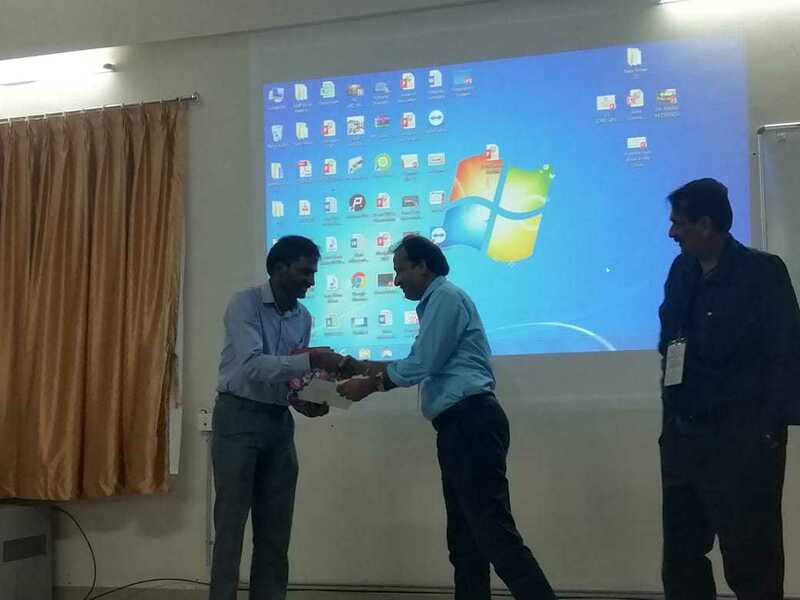 Mr. Jayapalan K Medical physicist and RSO at MIO delivered a talk on “Optimal Reduction of Secondary Malignancy Risk with VMAT than IMRT” in the treatment of various cancer at ICRB-International Conference on Radiation Biology on 5th October 2018. 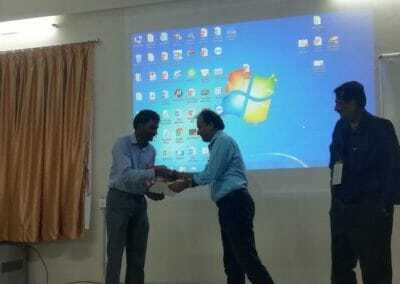 The venue was KSHEMA Auditorium Deralakatte. 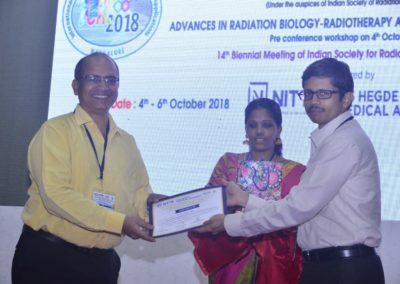 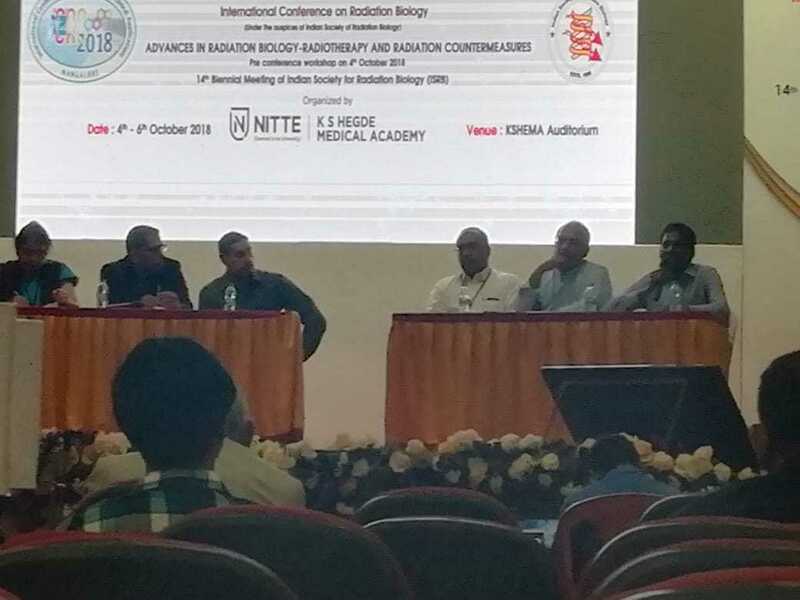 Mr. Jayapalan and Dr. MS Baliga were members of the panel that discussed the advances in Radiation Biology- Radiotherapy and Radiation Counter Measures at the said conference. 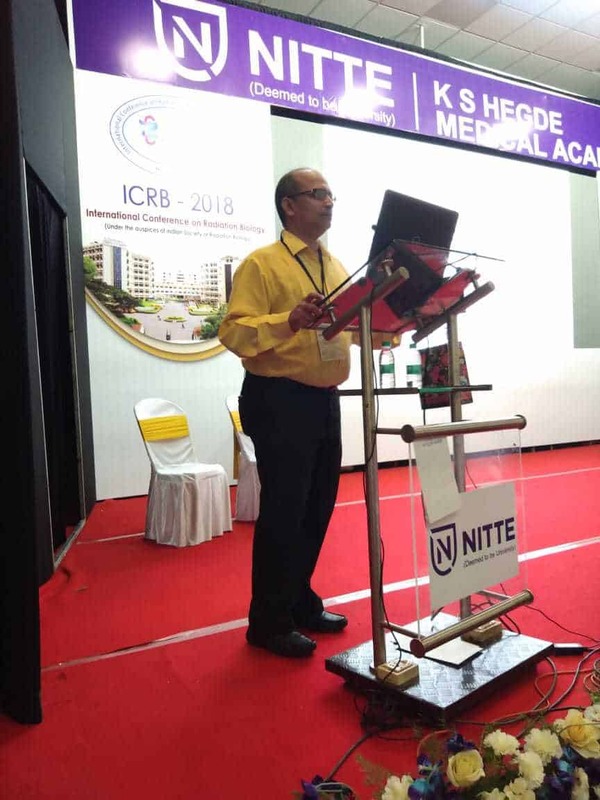 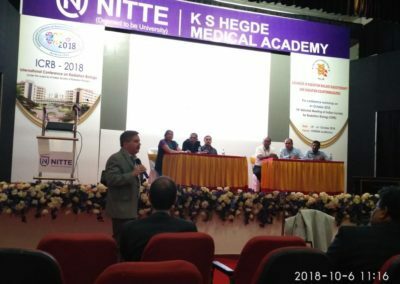 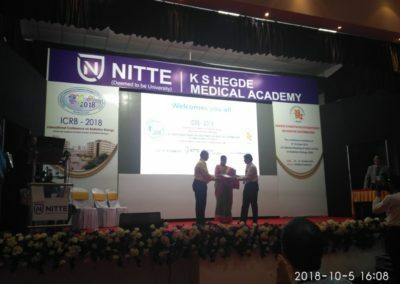 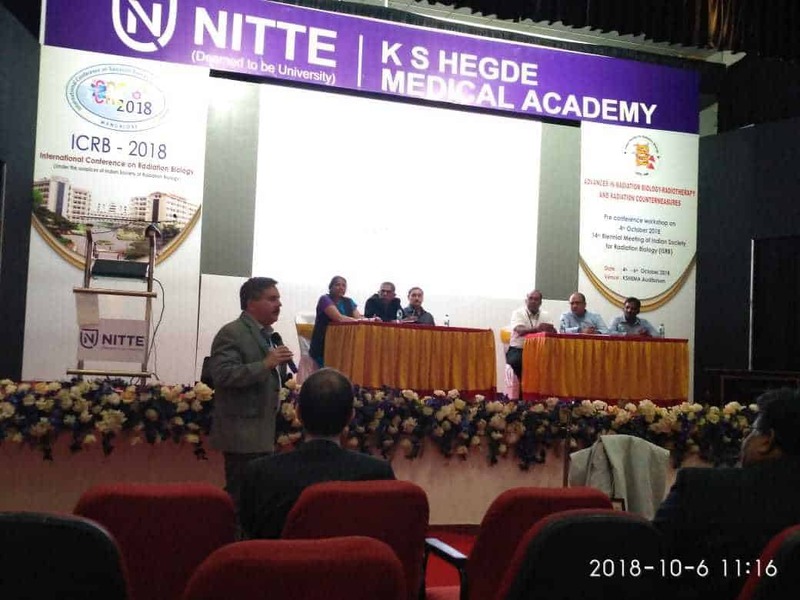 Dr. M.S Baliga Incharge research at MIO delivered a talk at ICRB International Conference on Radiation Biology 2018 at KSHEMA Auditorium Deralakatte.